Sources with connections within the “Watchdogs of Bolingbrook” blog say they have canceled a campaign against Mayor Roger Claar. The campaign, “Until Roger Quits,” was inspired by the “Until Abortion Ends.” campaign. Like that campaign, village residents were asked to make a sacrifice until Claar resigns, or is voted out of office. Instead, the sources agree that two people were injured only a few days before announcing the campaign. Paul Z Liano, a 12 year Bolingbrook resident, claims he tried to hold his breath until Mayor Claar resigned. “Roger wants to turn Bolingbrook into a Socialist republic!” Cried Liano. “I had to do something. So I sent him an e-mail, and started holding my breath!” After several attempts, Liano became frustrated. “I knew he doesn’t always respond to e-mails, but come on!” Said Liano. Liano then put tape over his mouth and nose. Liano then remembers waking up in Adventist Bolingbrook. Donald, who asked that we not use his last name, claims that he gave up sobriety. Donald drank. And Drank. And Drank. Until he woke up in Adventist. 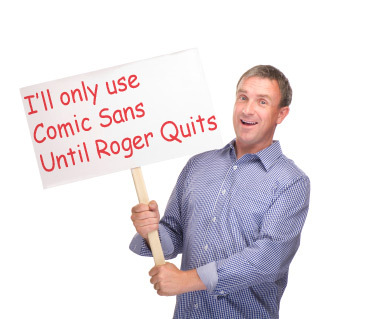 When asked to comment, a spokesperson for The Watchdogs denied they even considered an “Until Roger Quits” campaign. When this reporter called Claar, his receptionist said he was too busy to comment. Typhon the Terrible visits Clow UFO Base. South Elign: We don’t have too many police officers!